Having to deal with migraines or headaches on a regular basis can end up interfering with your daily routine. The pain they cause can make it hard to concentrate, read or do other everyday activities. When you need relief, chiropractic care can help. At Binder Chiropractic in Statesville, we offer spinal adjustments and other services that can ease headache and migraine symptoms. Find out more about these conditions and how chiropractic care can help. It can be difficult to know whether or not you have migraines or headaches, but there are differences in the symptoms they cause. Headaches can cause a wide range of symptoms, including pain that only affects one part of your head or pain that occurs on both sides or in larger areas of your head. Headache pain can be mild, moderate or severe, and it can occur as a sharp, throbbing pain or a dull ache. Depending on the type of headache you have, this pain might get worse at certain times, such as at the end of the day for tension headaches. Migraines cause pain in your head, but they also cause other symptoms. This is what distinguishes a migraine from a headache. You might have symptoms prior to a migraine, such as mood changes or auras. During a migraine, you might have severe pain, increased sensitivity to light, nausea, blurred vision and vomiting. Migraine symptoms can last for a few days. You can get frequent headaches due to stress, underlying medical conditions or other causes. In some cases, certain factors can bring headaches on, such as exercise, alcohol consumption or specific foods. The exact cause of migraines is not fully understood, but there are certain triggers that can make you more likely to have them. Common triggers include certain foods, stress, food additives, hormonal changes, sleep changes and certain medications. Having chiropractic care can help ease the symptoms that occur when you have a migraine or headache. This type of care involves having adjustments made to your spine, including your upper spine. Since this connects to your brain via nerves, correcting misalignment in your spine results in pain relief. Chiropractic adjustments take tension away from affected nerves, which helps lower your risk of dealing with migraines or frequent headaches in addition to relieving symptoms. 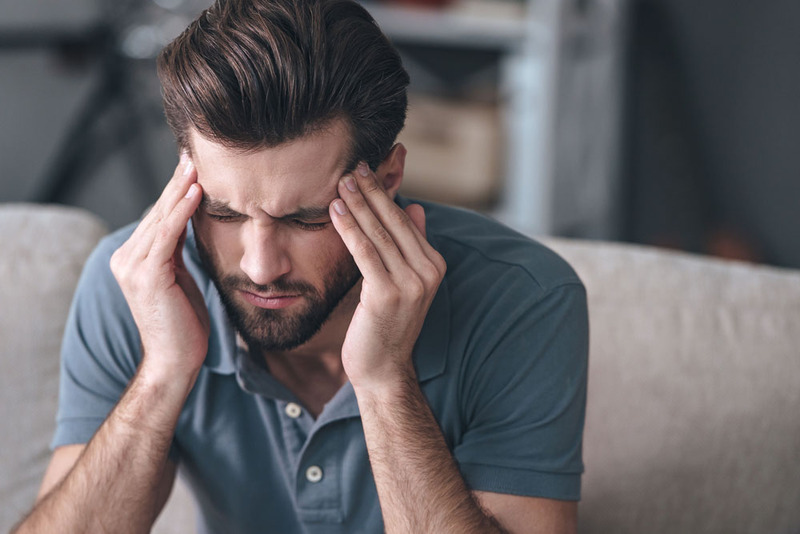 If you suffer from migraines or persistent headaches that affect your everyday life, please contact Binder Chiropractic today for an appointment. We can provide you with chiropractic care in Statesville to help ease pain and reduce headache or migraine occurrences. Call us today at (704) 873-2831 to schedule an appointment!